This will depend upon the health and age of your skin. Normally it is advised to have 2-3 treatments 4 to 6 weeks apart. There is ongoing improvement in the skin up to 12 months after each treatment, depending on the rate the patient grows collagen. Suggested follow up treatments at 12 month. No. Swelling from the plasma is what you will see and feel first. Once this has subsided you will not see much change at all. Over a few weeks, the Platelets will stimulate the growth factors which will help assist in more collagen growth. What are the expectations for PRP? – Results are visible at 2-3 weeks and improve gradually over ensuing months with improvement in texture and tone. – Cosmeceutical and Light therapies can enhance results. – Advanced wrinkling cannot be reversed and a minimal improvement is predictable in persons with alcohol and tobacco abuse. – Severe scarring may not respond. 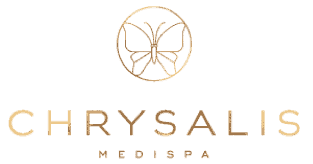 For bookings, call Chrysalis Medispa on 4779 2886.